Did I forget to mention I am now on the Tattered Lace design team? My first Design team job was to work with a few dies and embossing folders from the "Stitch in time" collection. My first project is a super cute wall hanging with a picture of my nephew who is a miracle baby after being born at 27 weeks. I chose the patchwork giraffe dies, you get a solid base layer and a coordinating filigree top layer. I also used some Tattered lace dies to cut little building blocks and add Reggie's name. 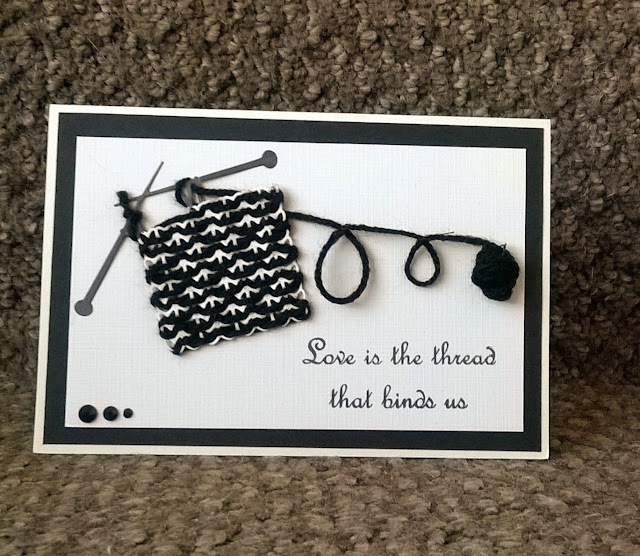 This next card used the "Knitted patch" die, I threaded some thin black wool through the die cut shape and added a mini ball of wool to complete the look, simple and classic. This is one of my favorites of the samples I made, black and white and a cute Elephant. I used a mini "pinhole border" die to pierce around the edge of the card and threaded it with embroidery floss. 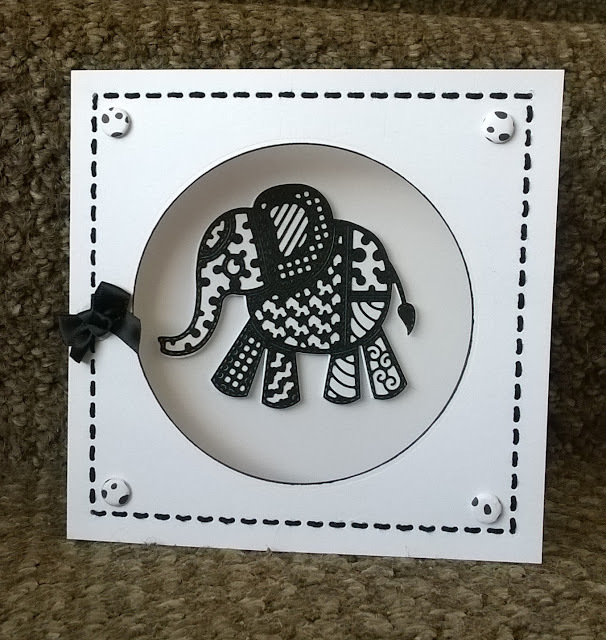 I die cut a circle aperture in the card base and used the "Patchwork Elephant" to cut a white solid and black top layer which I added to the card using foam tape. A few card candi and a little black bow finish the look. This card makes use of the "Plaid" border embossing folder and the "Knitted patch" die, soft and feminine, quick and simple. Now this was a little more involved but worth every minute. 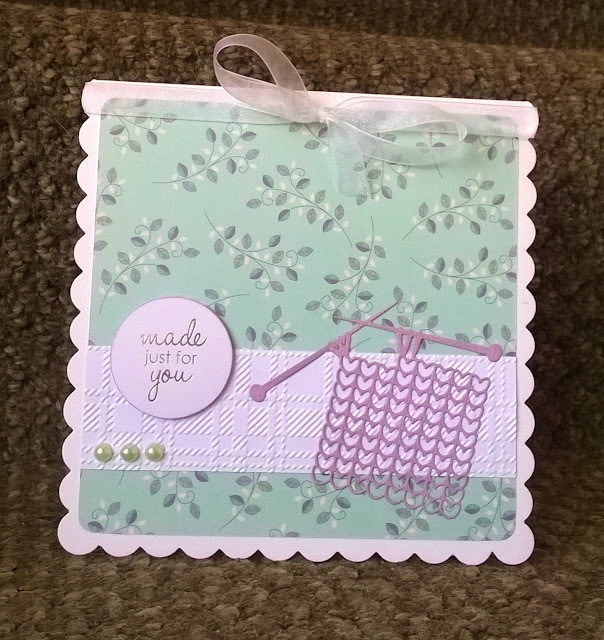 I used the "Plaid" border embossing folder to emboss some coredinations card and then sanded it to reveal the minty green core, I used matching card to cut some heart "tuck ins" also from Tattered lace and added some ribbon to make them look like balloons. 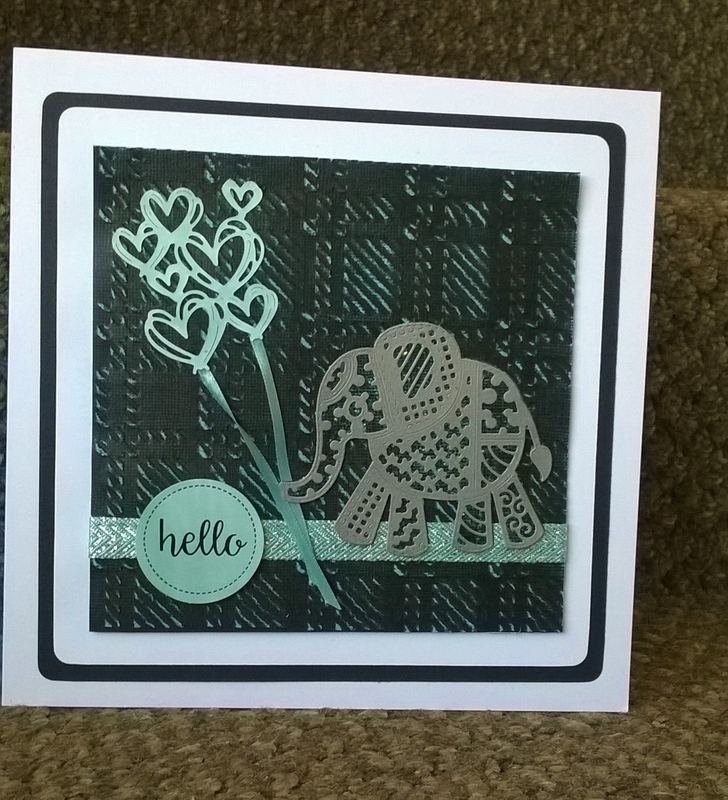 My "Patchwork Elephant" was cut from grey card. I added some ribbon and a sentiment and then matted and layered in black and white. 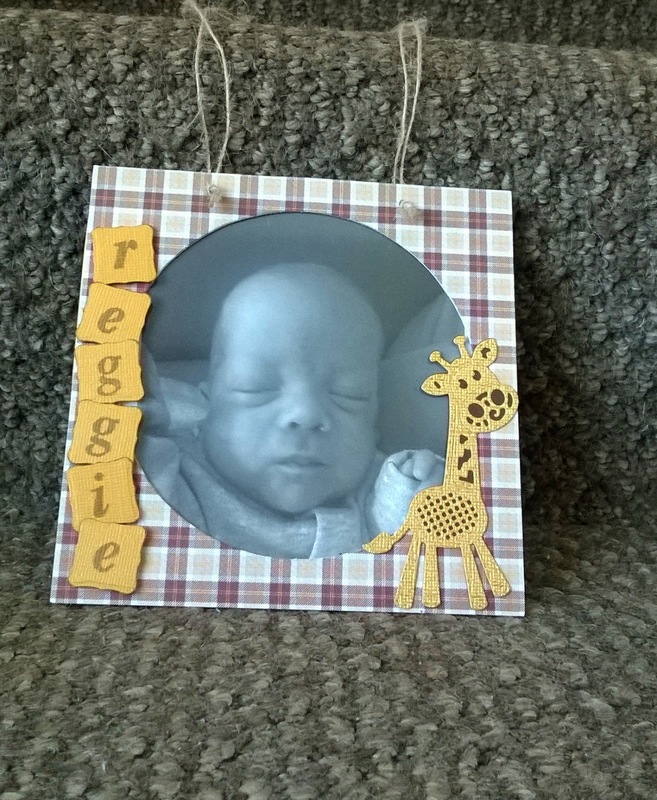 Last but not least is the card I love the most, so much so that I recreated it for Reggie's 2nd birthday. I used the "Patchwork Giraffe" to cut a solid and a top layer in 2 different blues and layered them together. I use the "Plaid" corner embossing folder to emboss 4 triangle which I then coloured with distress ink. 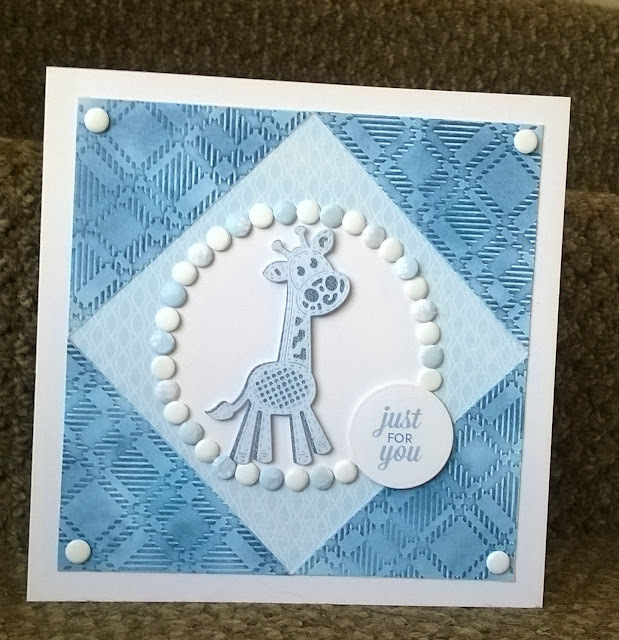 The corners where glued onto a piece of paper from Craftwork cards serenity range, I cut a white circle which I added to the center of the card and glued the Giraffe on top, I added a sentiment topper and framed using card Candi. I will be showcasing some more Tattered Lace samples soon , so watch this space.